It’s getting embarrassing, but I still haven’t finished the job. What is stalling me is a latch to hold the swing away tire carrier very tight against the back stop. I’ve made a few latches but none have combined the two key features of holding it tight and being very easy to use. The rest of the bumper is finished but still unpainted. Recently i added back up lights to it. 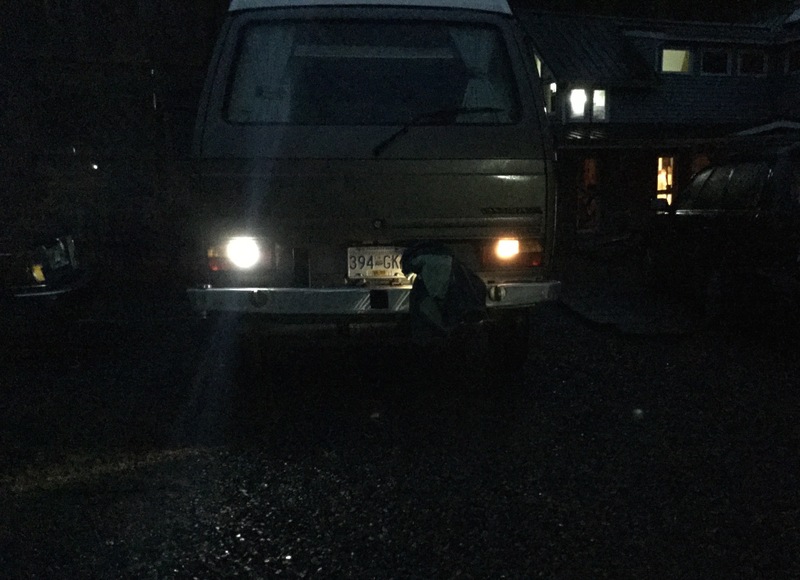 For the last year I’ve had the bumper installed and a 4″ halogen aux light bolted to the top for a back up light. I put a 100W H3 bulb in it and yes, it does light things up. A bit obnoxious in parking lots, but really useful out in the bush. 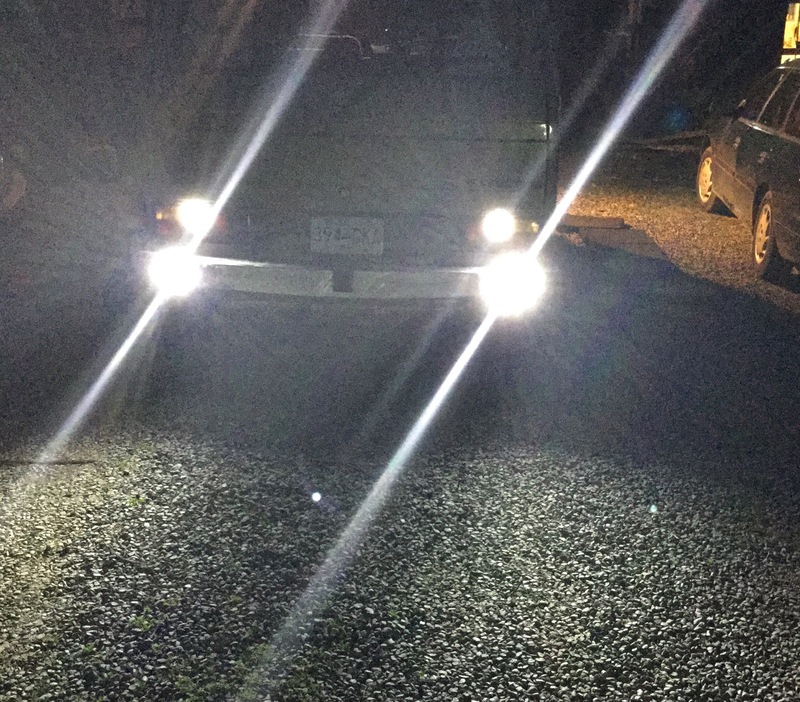 But that was just a temporary thing, I now have my real back up lights. They are a pair of 10W LED units bought from Deal Extreme. Here is the link to the product page. They are pretty nicely made little units. 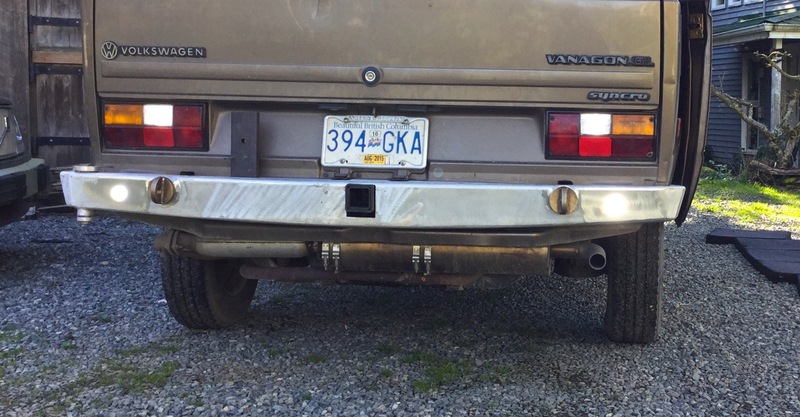 I cut a couple of holes in the bumper, welded on some mounting brackets on the inside and installed them. First the before shot. Note that in this shot I have the stock incandescent bulb in the right taillight, a new LED bulb in the left taillight. 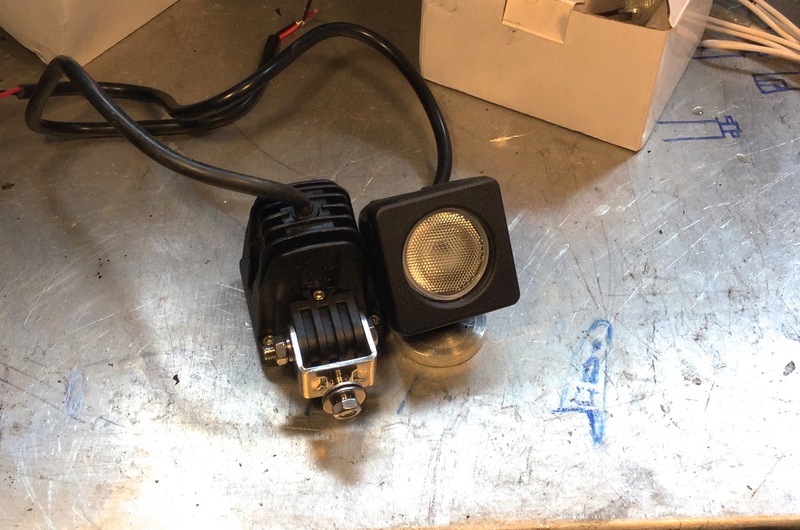 The aux light covered up, showing the improvement in lighting the LED bulb in stock taillight. Ok, aux light removed, internal mounted LEDs installed. Daylight pic. I like them, they work well. I am probably going to wire them to a spare switch I have up front so I can disable them in the city. 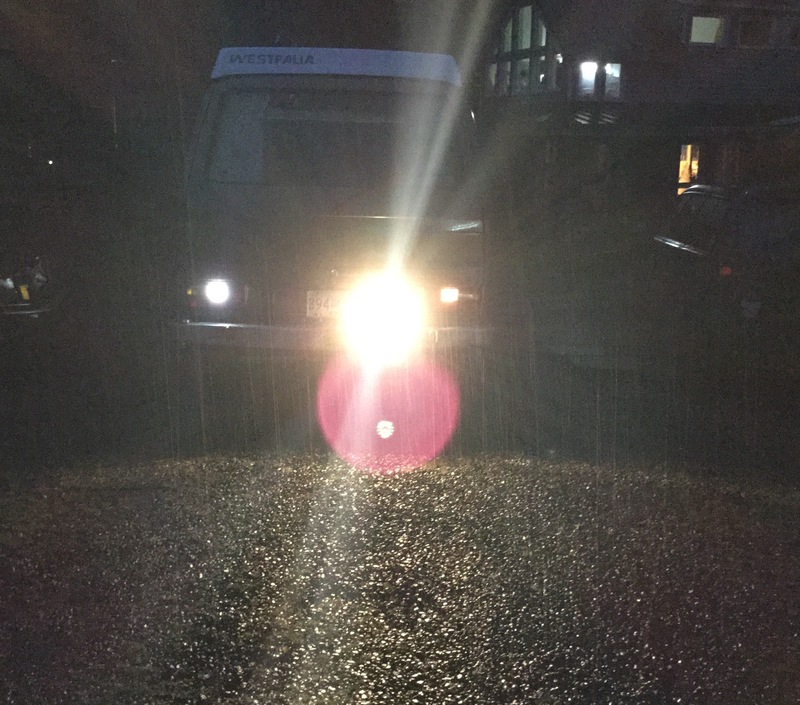 This entry was posted on March 25, 2015, 4:57 pm and is filed under vanagon mods. You can follow any responses to this entry through RSS 2.0. You can leave a response, or trackback from your own site. Have a look at some of the led light bars that are being sold. Might be better than these little lamps. But if you want to stick with the small lamp profile, note that the lamps I bought have a dippled, sort of textured glass lens. There are similar lamps with narrower beams. Ps you’re not thinking of setting them inside the luggage rack are you?